I made this Orbit Brand Gum Holder with the English Garden Designer Series Paper. When you finish the gum, it is easy to just slide a new pack of gum into the holder-easy peasy! Cut a 7 inch square of cardstock. Punch and score the first side of the cardstock at 1-7/8” and 2-1/2”. Skip a Side and Punch and score the opposite side at 1-7/8 and 2-1/2. Punch and score the second set of opposite sides at 3” and 3-5/8”. Then, flip the cardstock over and only punch (not score) at the same intervals. You really just have to look to see what you're doing. You just want them to “match up”. In this picture, you can see the gum package (with the top flap cut away). It is the size of the middle rectangle. Then, with the points at 3 inches cut the points off of the long sides. This makes each flap/side 1-1/2 inches. Fold your score lines, and use Tear and Tape Adhesive to Secure your side flaps (just put tape on the bottom sides below the midline-NOT on the top). Do not attach it to your gum so that you will be able to slide the gum package out. That way you can replace the gum package when it is empty. Cut a piece of designer series paper (Mine is 3-1/4 inches wide by 3-5/8 inches wrapping from the front over the top and to the back.) Score on horizontal at 1-1/4" and 1-3/4". Next corner round your top flap using the top of the Envelope Punch Board. Also, corner round your designer series paper piece. Next place adhesive in the fold and along each horizontal edge of your designer series paper piece. Begin in the middle (on the top fold/edge) and adhere the dsp to the box. Add your butterfly by using dimensionals on only the bottom two quadrants of the butterfly's wings. 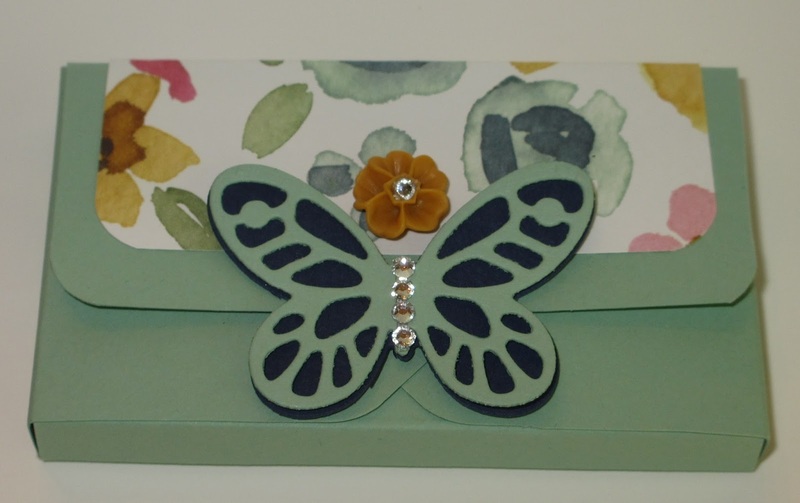 This allows the flap to "tuck into" the space under the butterfly. Next, I used a glue dot to adhere an In Color Blossom Accent. I added a rhinestone bling to the center of that Delightful Dijon flower and added rhinestones to the butterfly's body as well. This card uses the Every Blessing Set. It is embossed using a mixture of Silver and Iridescent Ice Embossing Powder. The Oval behind is Silver Glimmer Paper. 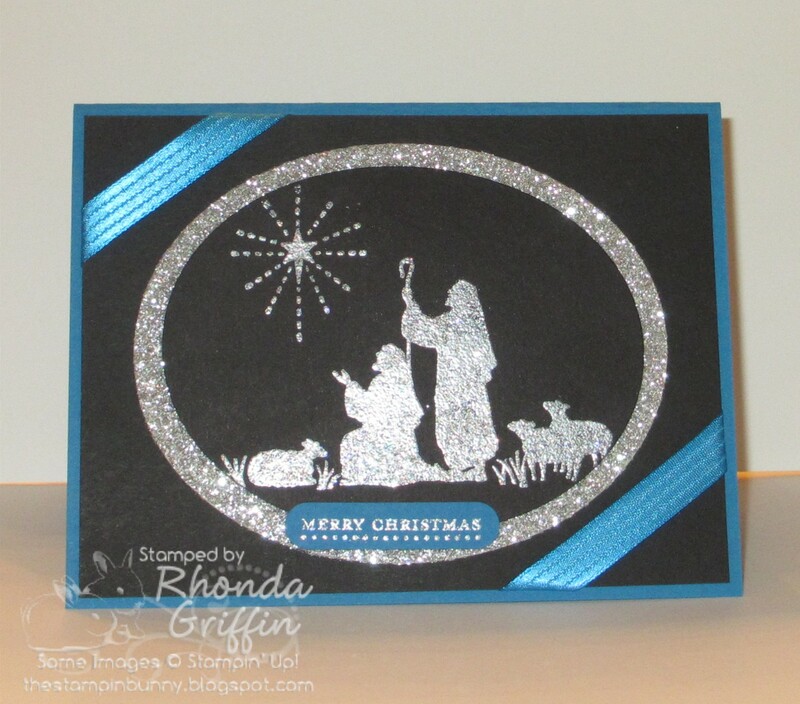 I think it is simple but striking with the Basic Black and Pacific Point cardstock. 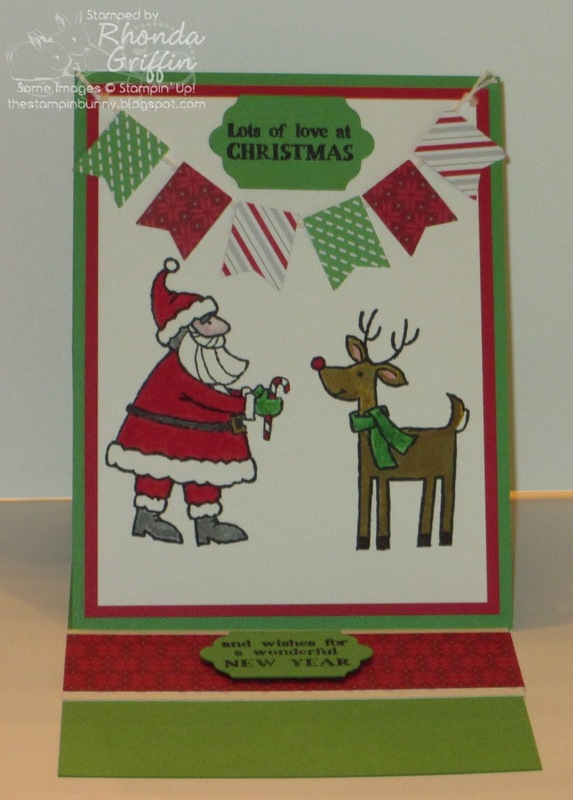 I used the new Merry Moments Designer Series Paper with a Gold Metallic Thread Garland for this card. A Gold Metallic Sequin Star tops the tree. I wanted to use Cucumber Crush for a Christmas card for this swap, and I think it was surprising that I used the Merry Moments Designer Series Paper as well as the Cucumber Crush Dashed Paper from the Cherry on Top Designer Series Paper. 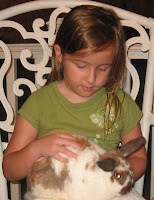 I so like the Barnyard Babies Set. It is adorable for baby cards of course, but there are many fun possibilities for just Thinking of You type cards like the one I made above. Welcome to the Stampin' Addicts New Catalog Blog Hop. I hope you'll enjoy our sampling of new catalog items! If you're traveling in order, you may have arrived from Holly's Rubber Redneck Blog. 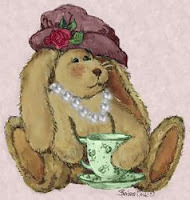 I am sure you enjoyed her lovely creations with the Garden in Bloom set. Should you get lost, you can find a complete list by going to the Stampin' Addicts Blog Hop Chat thread. 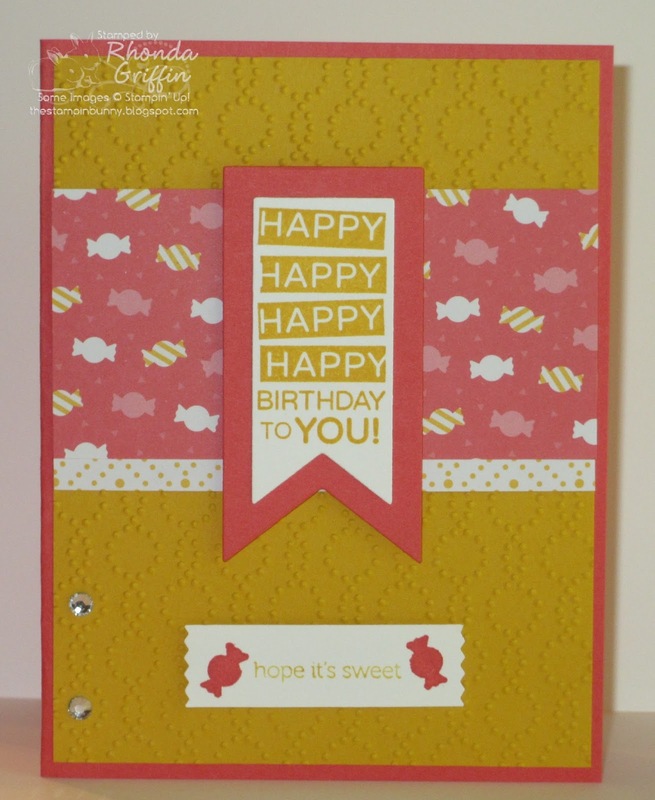 My stamp set choice is the Sprinkles On Top set on page 7 of the new Stampin' Up! catalog....(not to be confused with the Sprinkles of Life set that has the tree and ice cream with matching punch.) I think these donuts are fun and silly, and I hope you do too. For this little Chocolate Donut holder, I used the Gift Bag Punch Board, but I chose NOT to punch the holes for ribbon. I think it makes a slightly neater presentation if you don't want a handle that might get smushed. I used Watermelon Wonder Cardstock and Chocolate Chip Ink. I markered the sprinkles in Watermelon Wonder, Crushed Curry and Bermuda Bay to match the Cherry on Top Designer Washi Tape. The sentiment was cut out with one of the NEW Lots of Labels Framelits. Simple and Fun. 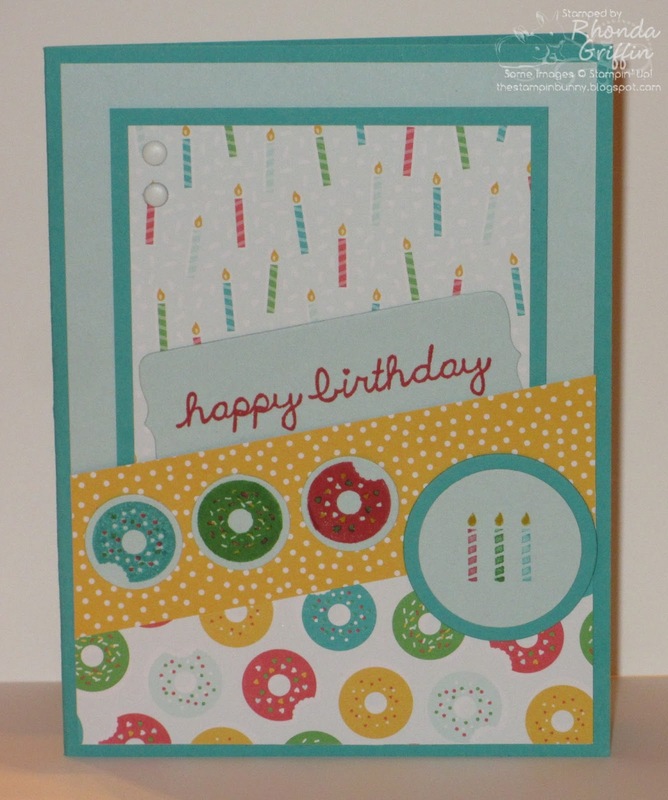 This card uses the new Elegant Dots Embossing Folder which I think coordinates well with the candy stamp and sentiment in this set as well as the candy Designer Series Paper sheet from the Cherry on Top paper stack. 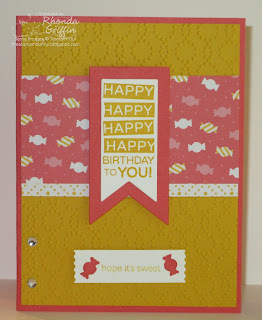 For a main image I used the Amazing Birthday stamp with the Banners Framelits for a change. The colors were chosen for me by the DSP, and they are colors I like, but would not have normally put together. I like the new Washi Label punch even more than I thought I would too! 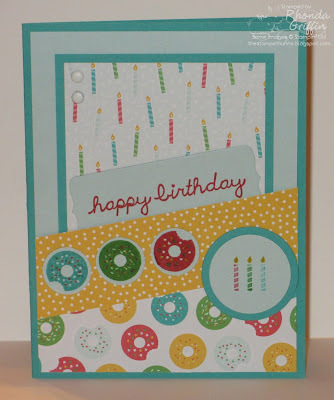 For this card, I used MOJO Monday Sketch number 405, MOJO405 . I enjoyed fitting the elements of this set into the sketch, but I understand if it is too busy for some tastes. :) The Happy Birthday Sentiment uses the Chalk Talk Framelit, but I cut it twice so both ends would have a point. 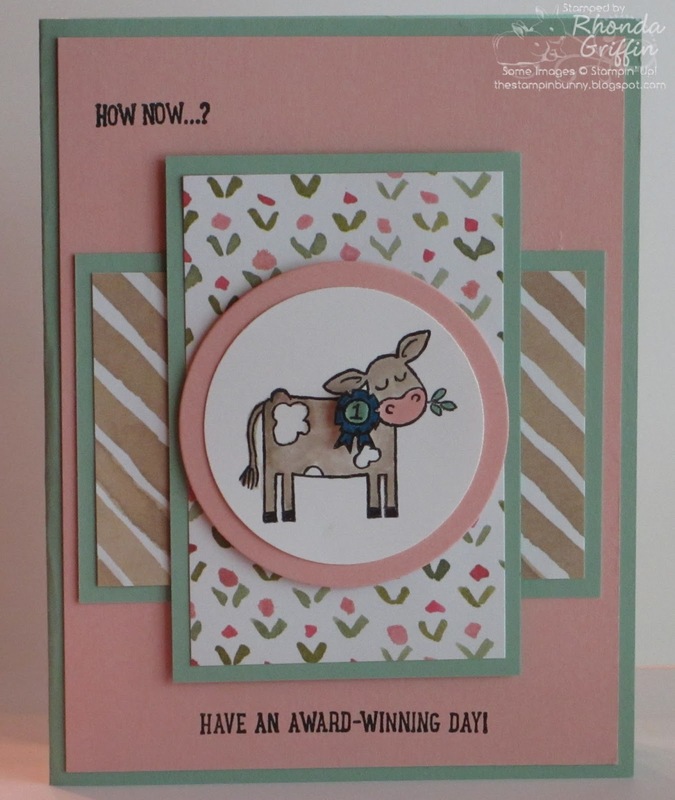 Now, it is time to continue to Kathleen's FA Stamper Blog to see her elegant designs with the From Land to Sea set. I'd seen so many cards that followed the pastel on white color palette that this set's name, Watercolor Wings brings to mind, so I wanted to do something. I love the Basic Black 3/8" Stitched Satin Ribbon, and I shortened the new Washi Label Punch by punching it once then again on the end. 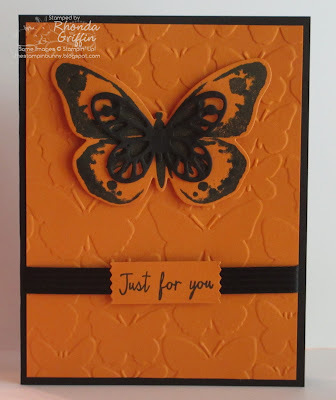 I stamped on Pumpkin for richness and added a Basic Black Big Shot Butterfly Layer. The Fluttering textured embossing folder brings it all together for a simple and sweet card I think.